Here we are for the Sunday Selfie blog hop, hosted by the wonderful Kitties Blue over at The Cat on My Head! In this unbearably hot summer weather we've been having, only one furbaby of mine has been up to taking selfies lately. That furbaby is, of course, none other than my little model Thimble. To start off her selfie session, Thimble knew to adjust the camera so that it was just right. She didn't want just a plain selfie, though. So, how about a belly rolling selfie? Woops. You're getting a little too wild and close up there, Thimble. Okay, forget the belly rolling. How's this? Better? We hope all of our furiends have a beautiful Sunday! Today is National Mutt Day! That being said, today's tip is a friendly and simple reminder that a mixed breed is never of lesser quality than a purebred furbaby. All animals deserve good homes, both mutt and purebred. But, do consider going to or spreading the word about your local shelters, where many mutts (as well as purebreds, of course) are awaiting their forever homes. Mutts not only can be sweet and beautiful furbabies, but, in some regards, they can also be healthier than purebreds. Although just about any animal can get just about any disease, it has been found that mutts are often far less likely to get certain diseases that tend to be passed on genetically within a purebred line. This is just one of many reasons why mutts should not be written off as of lesser quality than purebreds. All in all, both mutts and purebreds deserve good homes. But today, for National Mutt Day, please give extra consideration to those adorable mixed breed furbabies that make our lives so wonderful. Resident pup Astrid gets to be the star of our contribution for this week's Caturday Art blog hop, hosted by lovely Athena. So, there you have it. Astrid the teacup pup. You may want to ask for this one in decaf. Many of us humans love our tea and coffee and other caffeinated goods, often for their energizing effects. The reason we love our caffeinated goods, though, is also why they're so dangerous to our furbabies. Dogs and cats are more sensitive to caffeine and its effects. 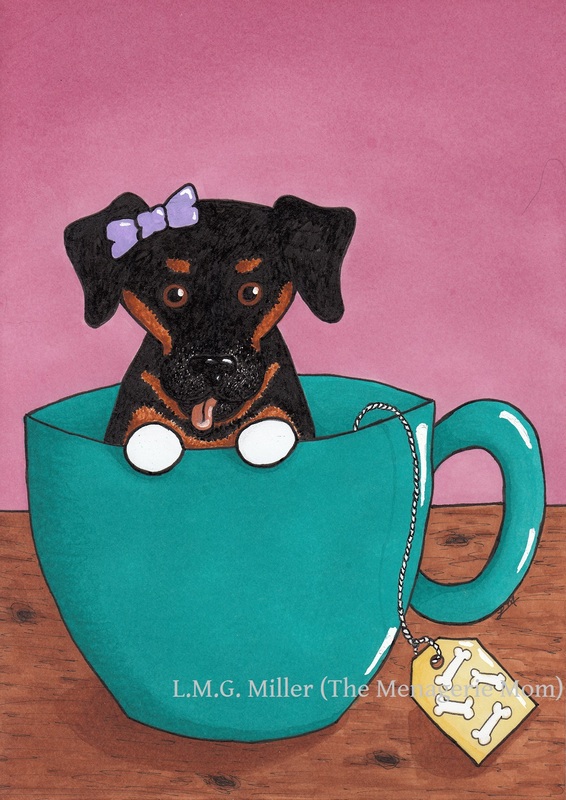 While a couple licks of tea or coffee will likely not do any severe damage, consuming large quantities of tea, tea bags, coffee, or coffee grounds can be potentially detrimental or even life-threatening to our furbabies. And don't forget other potential sources of caffeine, such as chocolate, energy drinks, and diet pills. If your furbaby has ingested caffeinated goods, and if you are observing hyperactivity, restlessness, vomiting, elevated respiration or heart rate, or any other concerning signs, consult a veterinarian immediately. We've almost made it to the weekend! 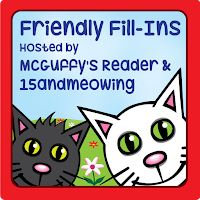 It being Friday, we'll do our usual and start with one of our weekly favorites, and that's the Friendly Fill-Ins challenge hosted by our wonderful friends over at 15andmeowing and McGuffy's Reader. One quirk I have is _________. My favorite comic strip is _________. I am really happy _________. If I could go anywhere on a road trip, I would go to _________. Now, our other Friday tradition is giving you your weekly Eddy fix. And guess what? This week, the active little lady actually made an attempt to sit still for the camera. Look! Happy Friday to all of our furiends! Sometimes, baking soda can be your best friend. If your furbaby urinates on a rug or carpet, after cleaning it up with a vinegar mixture, enzyme cleaner, or another preferred cleaner, use baking soda as a little extra odor control. Just sprinkle some baking soda on the scene of the crime, let it set for a while, and then vacuum it up. Baking soda can also be used as odor control in the litter box, by sprinkling some in the with the litter. You can also consider using baking soda for a homemade toothpaste for your furbaby. You would need to mix a small amount of baking soda with water (or potentially even plain chicken broth, if your furbaby is picky about taste) until it forms a consistent paste. Of course, if you have any concerns, first consult your veterinarian regarding your furbaby's dental health. Have you heard that term, "like a boss"? You know, when someone does something "like a boss", meaning that they do it quite impressively or with great authority? Well, Thimble does a lot of things "like a boss". So, what are all of our furiends out there good at doing "like a boss"? It's summer and it's hot, and keeping your furbabies hydrated is an important thing. Kitties are especially prone to urinary issues, especially when they don't consume enough water. What's more, I'm sure there are many kitty parents out there who have the same concern - their kitty doesn't seem to visit the water bowl enough. Of course there's the chance that your kitty is drinking when you're not looking, or that he or she is getting enough moisture from food, such as moist food. Nevertheless, it never hurts to make attempts to encourage your kitty to drink more water. We've given tips before on keeping the water in the bowl refreshed, using bowls that your kitty prefers, and so forth. But how about some additional, perhaps more obscure options? For example, think about the locations your kitty likes to hang out, and make use of that. Does your kitty like to play or sleep in the bathtub? If so, try putting a water bowl in there. How about in the window, or up on a shelf? If your kitty likes sleeping in such places, leave a water bowl as close to those snoozing spots as possible. Or, does your kitty like to bat at things? If yes, try putting ice cubes in the bowl. If nothing else, with this method your kitty may lick the water from his or her paws. And perhaps you kitty doesn't like tap water. If you're curious if this is the case, try using distilled or bottled water. Another option is to add a little hint of flavor to the water, such as by dripping some tuna water into it to entice your kitty to take a few licks. If your kitty looks and acts happy and healthy and has gotten an A+ from the doctor, there's no need to force water on him or her. But, of course, it never hurts to keep an eye on their drinking habits. We love our furbabies, but sometimes we also sort of like our furniture. One easy way to help keep furniture clean and clear of pet hair, odors, and stains is to simply use furniture covers. There are couch and chair covers available on the market, or you can even just select decorative blankets of your liking to use. This keeps the furniture beneath clean, and it is one of the best methods for making any necessary cleanups quick and easy. Even housebroken pups and kitties may have an accident here or there, and there's always that stray hairball or vomited treat. In cases such as these, if the scene of the crime is the furniture, you just pick up the cover, shake it out, and throw it in the wash. What's more, using covers on furniture can ultimately help keep your house smelling fresh and clean in the long run, as it helps prevent pet odors from permeating down into the fibers of the furniture itself. If you've read some of our past posts, you might remember that my feline furbabies are what I like to call food snobs. They're picky about their food and treats, both dry and moist. After all, they have very refined taste. Needless to say, finding treats that my furbabies will eat can be a bit tricky, if not downright impossible. My primary treat eater is Evan, and even he has only a few select treats he'll pay any mind to. Housemate Toby is much like Evan, whereas Thimble and Eddy essentially ignore any treats put in front of them. That all being said, as part of this month's Chewy.com Blogger Outreach Program, I decided to try and choose a healthy, hardy treat that might entice my kitties to actually eat it. I am a big fan of pet food and treats that are highly meat-based, and so I was eager to try PureBites® freeze-dried cat treats. These treats come in a variety of freeze-dried meats. Given that my kitties seem to most often prefer foods of the chicken variety, I went for chicken breast. These treats are, as the bag says, 100% natural. They are made in the USA from one ingredient, and that is 100% pure USDA-inspected chicken breast. There are no preservatives or anything else added. These treats are plainly and simply chicken, and they look it. For those curious about the "freeze-dried" aspect of these treats, here's what the product description says: "PureBites® uses a delicate freeze-drying process that preserves the nutritional integrity of fresh whole food - only water is removed, preserving all of the characteristics and natural nutrition of fresh raw chicken breast." So, given the fact that cats are strict carnivores, it sounds to me like these treats would be perfect for the felines in my life. Of course, though, I'm not the one to judge that. That job is for my furry little food snobs. So, what did they think? At the first sound of the bag rustling, I gathered the usual audience of my boy Evan and housemate Toby. Evan sniffed the treats, a lot. And he even gave them a few licks. Toby also licked the treats, only he took a far more substantial amount of time doing so. He did put them in his mouth as well, but he'd do so only to break them apart and then lick them some more. He never actually ate one, but he did get them nice and wet. Next up was Thimble, who came running over when she saw the boys investigating something without her supervision. Although Thimble didn't actually eat any of the treats, she did like her brother Toby did and spent a fair amount of time licking them to a nice and gooey consistency. To be honest, I took this as a good sign. Believe it or not, Thimble has never, not even once, eaten a treat for me. I've tried everything, and she ignores, well, everything. And aside from baby food, the girl doesn't even pay mind to any form of human food offered to her. Nothing, not even butter or cheese, interests her. Well, except for flour. She'll try to eat flour straight out of the bag, because that stuff is obviously all shades of delicious. But I digress. The point is, Thimble actually took the time to lick the PureBites® chicken breast treats, and that is saying something. She did what she always does to treats, and that is to sniff and walk away. But, I can't end the review there. Why? Because, after everyone else had left the treats just sitting on the floor, Evan came back over. He had already sniffed and licked and passed them up the first time through, but then he came back. And you know what? He cleaned house. He gave those treats a second thought, and decided that he loved them! So, while not all or even most of my furbabies gobbled the treats up, I'd say we'd give these at least two out of four paws up, if not three. Evan ended up loving them after a second attempt at them, Toby spent plenty of time savoring their flavor by licking them, and even I've-never-eaten-a-treat-in-my-life Thimble took the time to give them a few licks. I'm actually curious to see what my furbabies might think of one of the many other meat options these freeze-dried treats come in, and I may very well purchase a different bag of them to try out. Disclaimer: As members of the Chewy.com Blogger Outreach Program, we received PureBites® freeze-dried chicken breast treats as compensation in exchange for an honest review. All opinions are our own. We only review products that we believe will be of interest to our readers, and we never recommend a product that we do not believe in. Did you know that cooked chicken can be used to help a furbaby get back on track after an upset stomach? Chicken is just one of many foods that many vets will recommend for furbabies, oftentimes dogs, who have been suffering from vomiting and/or diarrhea. Dogs are known to go through bouts of "gut rot" or "garbage gut", when they will display signs of an upset stomach, often simply from eating something that didn't quite agree with them. It is not impossible for cats to also go through such bouts. In such a case, once a veterinarian has ruled out anything severe, it is often recommended to rest the afflicted furbaby's gut for 12-24 hours by withholding food. After that, feeding them a bland diet, yet one that is wholesome and that can help bulk up loose stool, is often a good option. Plain cooked chicken, or sometimes even beef, is often a favorable choice for a bland yet protein-heavy food to get an upset stomach back on track. Often, especially with dogs, rice can be added to the mix, as it can act as a bulking agent. There are other foods that can also help get a furbaby's stomach back on track, such as plain pureed pumpkin. No one likes to see their furbaby suffering from an upset stomach, so if you see any signs of this, be sure to get your furbaby to the vet, and to ask the vet's opinion on a proper diet to get your furbaby back on track. Evan has shown you furiends before that he has a love for chasing lights. If hunting lights was a sport, Evan would be an all-star. Evan is always on the lookout for lights. He keeps an eye on that ceiling, in case it starts dropping lights on him. What's a boy to do, though, when he's surrounded by lights? We hope Monday treats everybuddy well! We've talked on here before about how too much sun can be dangerous to our furbabies and their skin. So, what can be done about this? One thing you can do is apply sunscreen to your furbaby, especially areas such as the ears and nose. Some sunscreens formulated for humans contain ingredients that can be toxic to our furbabies, so please consider looking into getting sunscreen specifically formulated for cats and/or dogs. When in doubt, talk to your veterinarian about sunscreen. For those furbabies who get most of their sun by sitting in windows, you can also consider certain window coverings that can perhaps dilute the amount of sun that comes in. There are some blinds, sheer curtains, and other sorts of window coverings that may be used to help block out some of the sun's rays while also allowing light in. There are also window films that can be applied to tint windows. Of course, be sure to use only window coverings that your furbaby does not try to climb, get caught in, or chew on. And, of course, no matter what you're using for sun safety, still keep an eye on your furbaby's skin for any sores or other concerning features..
For today's Sunday Selfie blog hop, hosted by our good furiends over at The Cat on My Head, my furbabies decided to let their whiskers have the driving seat. Have any of our furiends ever taken a picture of their whiskers? Do your whiskers ever hijack your selfies? We hope everybuddy is having a wonderful weekend! Happy Sunday! I've mentioned before the importance of cat whiskers. Keep in mind, though, that our pups also have whiskers. Although perhaps not as many as cats, and perhaps not used as heavily as those of cats, dog whiskers nonetheless serve the same sort of sensory purpose as those of kitties. Whiskers help both cats and dogs understand and navigate their surroundings. These whiskers are, understandably, very sensitive features, and for this reason try to always remember to be gentle with them and to not comb or in other ways bother the whiskers, as this can be uncomfortable for our furbabies. Never pull your furbabies' whiskers, and teach children to treat them with the same consideration. And, of course, never cut your cat or dog's whiskers. This is not only uncomfortable and painful for the furbaby, but also takes away some of their navigational abilities. Treat those wonderful whiskers well! 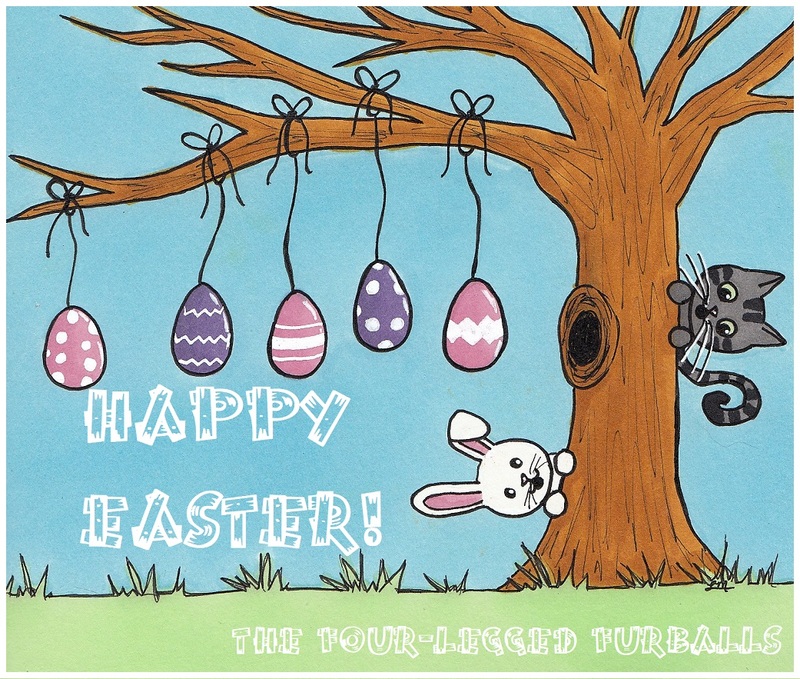 For today's Caturday Art blog hop, hosted by Athena, I did something a bit different than usual. These days, as you've probably noticed, I tend to stick to pen drawings, with lots of color and often with a little of side of crazy and chaos. That wasn't always my go-to technique, though. Back in my middle grade and high school days, I started out with pencil drawings, and I stuck with pencil (and pencil only) for years. Then one day I started experimenting with the fun that is pen drawing, though, and I never looked back. Well, that's not entirely true. Once a year, the county fair comes to town, art show and all. Back when I was a kid, each year I would enter pencil drawings to the fair's art show. To stick to that tradition, I still make sure to complete at least one pencil drawing each year for the fair. Well, the fair starts today, which means a pencil drawing was in store. I don't know what goes on in my head sometimes. 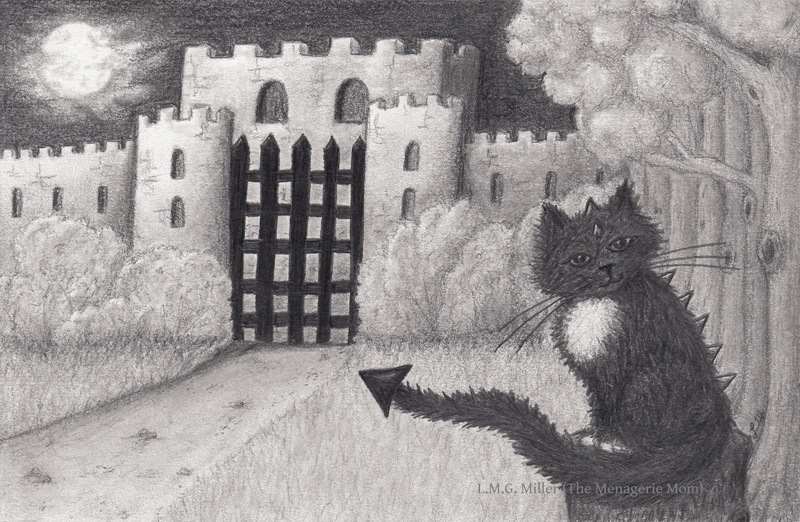 Lately, though, it's apparently involved cat-dragons and castles. Weird, huh? Today's tip is a quick and simple one, and it's to consider adopting a black cat, or sponsoring one, or spreading the news about how wonderful they are. As many of you know, black cats are often considered taboo or bad luck, and so their adoption stats are often rarely as promising as those of other cats. So, please don't let black cat rumors fool you. Black cats are great, and more than perfect and adoptable. Please help break the mold and consider adopting a black cat, fostering one, sponsoring one, spreading the news about an adoptable one in your area, or even going to volunteer at a shelter and spending time with one to give it a little extra love. Black cats are purrfect, too! It's always good to wake up and realize that it's Friday. 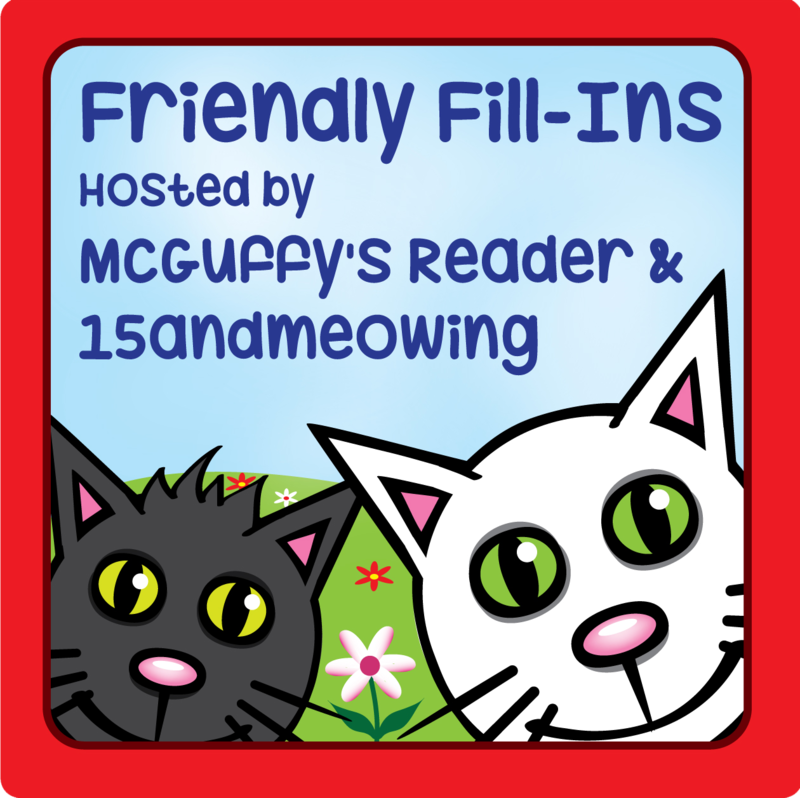 It's even better when that means it's time for the fun Friendly Fill-Ins challenge, hosted by the always wonderful 15andmeowing and McGuffy's Reader. I wish I could afford to hire someone to _________. One summertime memory I recall is _________. Speaking of shy and sly kitties, Eddy's attempted photo shoot from this week was a bit of a bust. She didn't want to be in any pictures, and only managed to make a rather pathetic appearance, and only with some coaxing from big brother Evan. Have a fantastic Friday, furiends! For today, I'll revisit an older tip topic, and that is summer care of feral or other outdoor cats. Especially in extreme heat, it is always beneficial to leave out fresh water for the cats outdoors, and to refill the water bowls with fresh, cold water as often as possible. Food is of course also important for these cats, but it's also important to remember that, if left out for too long in extreme heat, food can spoil and potentially make a kitty sick. This may be most likely with moist food, but regardless of the type, try to swap out old food with fresh food at a reasonable frequency. Of course, offering areas of shade can help keep feral or other outdoor kitties cool in the summer heat. Whether it be a specially built shelter or even just a chair, if you can offer the kitty an area of shade, it can allow them somewhere cool to spend the day out of the direct sun. And, as with all furbabies, be sure to keep an eye out for heat stroke in any outdoor kitties. If you see signs of heat exhaustion or stroke, such as lethargy or collapse, seek veterinary assistance. Thimble decided that not enough of her glamour shots have been shared lately. I told her we could remedy that. How's that? Glamorous, right? Thimble likes to make sure the camera gets her from every angle. She may or may not take advantage of the fact that she is ridiculously adorable. Sometimes we do get a bit distracted. And then there's the funny face or two. Thimble decided to embrace this funny face and entered it into Noodle's Raspberry/Tongue Curling event for the Blogville Pawlympics. Wishing all of our furiends a happy Thursday! Following up on a recent post in which I noted on certain furbabies' camera aversion...If your cat or dog shows a dislike for the camera, try to find ways to help mollify this for them. We all want to be able to photograph and have lasting memories of our furry cuties, so perhaps you and your kitty or pup can meet in the middle. 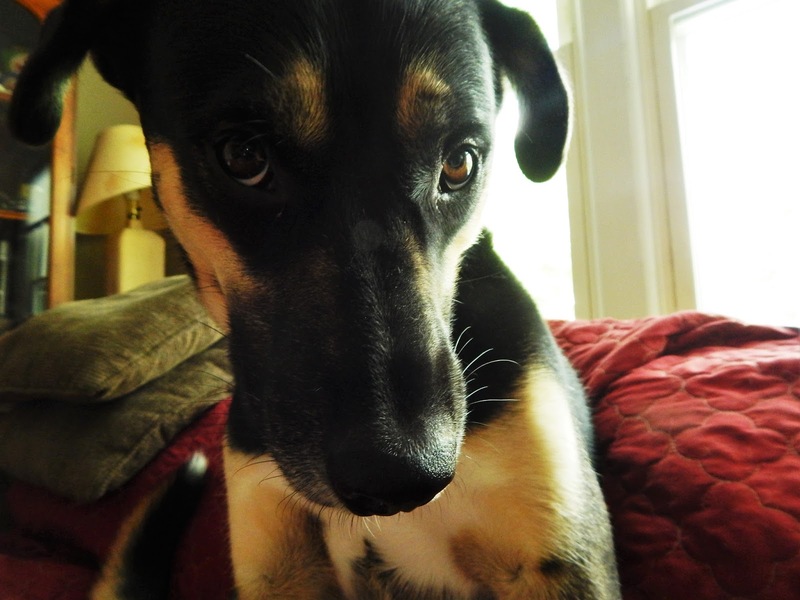 For example, especially if you know your furbaby is averse to it, do your best to avoid using the camera's flash. Although not always possible, try keeping photography sessions to daytime, when you can use windows and natural lighting. For some cameras, you can also try adjusting certain settings, such white balance and exposure, so that the camera itself can help you improve lighting without having to use the flash. For example, if you're inside in the evening with lamps on, set the white balance to incandescent, and bump up exposure so that the picture comes out brighter. Whether it be a daylit window or evening lamp, try coaxing your furbaby over to the light source, such as with treats or toys. And, most importantly, reward your furbaby with treats and toys, both during and after the photo shoot, so that they can associate the camera with those goodies. As I'm sure all of you know, dogs have an instinct to meet the world nose first. For this reason, always be sure to keep an eye on your pup's nose, monitoring it for any insult or injury. Although dogs don't get colds in the sense that we do, that doesn't mean they can't contract infections and other canine illnesses through their easily exposed nasal cavity. And, because they lead with their nose, dogs can be at heightened risk for cuts and scratches and other injuries to their sniffers. It's also not impossible for a pup to get a foreign object, such as a piece of food or plant material, lodged in their nostrils. If this were to happen, you might notice your dog tilting or shaking his or her head, or whistling noises emitting from their nose while breathing. So, be sure you know that nose well! And, of course, if you have any concern for your pup's nose or overall health, please be sure to contact you veterinarian. I've mentioned before how my little felines are something along the lines of food snobs. Well, Astrid is not far behind them on that. What's more, her food selection has to be very particular and limited, or else her sensitive intestines will more or less turn into the Hulk. For that reason, selecting treats for Astrid can be a bit tricky. Astrid far prefers soft and chewy treats over those that are hard and crunchy. And as for her intestines, she does best when given food and treats that are made from more natural ingredients that are reliable. For these reasons, when I saw True Chews® Premium Jerky Cuts™ treats on the list for this month's Chewy.com Blogger Outreach Program and read up on them, I was thrilled. These come in a variety of flavors, and I chose one of Astrid's absolute favorite flavors - sirloin steak. Some of the best things about these treats are plastered right there on the bag. They are 100% natural, with 100% USA-sourced protein, and made in the USA. They contain no corn, wheat, soy, animal by-products, or artificial flavors or preservatives. These treats are just about as close to real meat as you can get, and they look it. To be honest, I really had no doubts that Astrid would love these treats. She is a steak kind of girl. And these treats are soft, just the way she likes them. What's more, she could smell them before I even opened them up. She was even sweet and considerate enough to stalk me the entire time I did silly human things like photograph the bag. With my taste tester ready and raring to go, I decided to get the true review underway. Sadly for Astrid, she still had to practice good dog skills and lie down and wait. The serving size for these treats varies based on the size of the dog, and the recommendations are written on the back of the bag. According to this label, dogs over 50 lbs, like 65 lb Astrid, can have four treats. While I didn't give her that many, I didn't make her stop at just one. Honestly, how could I say no to this? Don't worry, she was rewarded with that very treat right after this shot was taken. And the best thing is that even with multiple of these treats on board, Astrid's intestines are still happy as could be. Disclaimer: As members of the Chewy.com Blogger Outreach Program, we received True Chews® Premium Jerky Cuts™ sirloin steak treats as compensation in exchange for an honest review. All opinions are our own. We only review products that we believe will be of interest to our readers, and we never recommend a product that we do not believe in. Pet food companies are required to list ingredients in the order of weight contribution. Therefore, the ingredient that offers the most weight to the food must be listed first. Always keep this in mind when you are selecting food and treats for your furbabies. If you want a food that is truly more natural and meat-based, make sure that the first ingredient listed is indeed meat. Or, if you are selecting a vegetable-based food, such as for your pup, be sure that it is indeed the advertised vegetable(s) listed first. If you find by-products or other non-meat ingredients first or high up on a food's ingredient list, then that food is likely not a high-quality, meaty, natural food. Of course every animal and their human prefers and selects different kinds of foods, and for varying reasons, but it never hurts to check the label to see what is going into your furbaby's body when he or she eats. Sometimes I really feel sorry for my furbabies. Their mom is sort of addicted to them, and to pointing that flashy box at them. I know that I myself more or less loathe having my picture taken, so what about my furbabies? Do they dislike it as much as I do? And if so, what is going through their minds when I've got that annoying, flashing box thing stuck in their face? When my mancat Evan was younger, when he still acted a little like the semi-feral little kitten that he started out as, he would go just a tad bit berserk when his picture was taken. What I'm saying is, sometimes even at the mere sight of a camera, Evan would flash his claws and teeth, and he would use them. Needless to say, I don't have all that many pictures of my boy from his younger days. Over time, though, my momma's boy has vastly mellowed out and matured. He no longer shows any disdain for the camera. Not even when it's in his face, up close and personal. So what about our furiends our there? Do you like the flashy box? Do you model for it? Or do you loathe it? Or, have any of you had a change of heart like Evan? We hope everybuddy has a wonderful Monday to start their week! A while back I gave a series of tips about photographing your furbabies. One of the most important ones, both for you and your furbaby's sake, is to get on their level. This helps you to be more prepared for catching a shot of them, in their element, right at the perfect moment. But even more so, especially in the case of a furbaby not yet accustomed to the camera, getting on their level also allows that flashy box to appear less threatening. So, when ambushing your furbaby with that flashy box, try doing so on their level, which can allow for great shots, but also may help models-in-training to get used to that flashy box. Around here, each week my furbabies and I all try to work together to get furry selfies worthy of the always fun Sunday Selfie blog hop, hosted by our Kitties Blue furiends over at The Cat on My Head. This week, my furbabies did indeed work together to reach a common goal. But, it would seem that common goal was to bring their furiends' something from their worst nightmares. The only furbaby who managed a decent selfie that will actually allow you to sleep at nigh was, believe it or not, Eddy! What I have today is more of a fun exercise than a tip...It's been said that many furbabies will yawn if they see their human yawn. Some studies have shown that furbabies are far more likely to do this in response to their owner's yawn rather than a friend or stranger's yawn. Some say that if your furbaby is indeed one who responds to your yawn with their own yawn, then this is a sign that they have developed empathy and an overall deep bond and connection with you their human. I found this a very interesting notion and tried it myself. I got all of my furbabies to respond to my yawn with a yawn of their own at least once, but not each time. My most consistent yawning buddy? Thimble! How about all of our furiends? Any other empathetic yawning furbabies out there? Mancat Monday: Happy 4th of July!